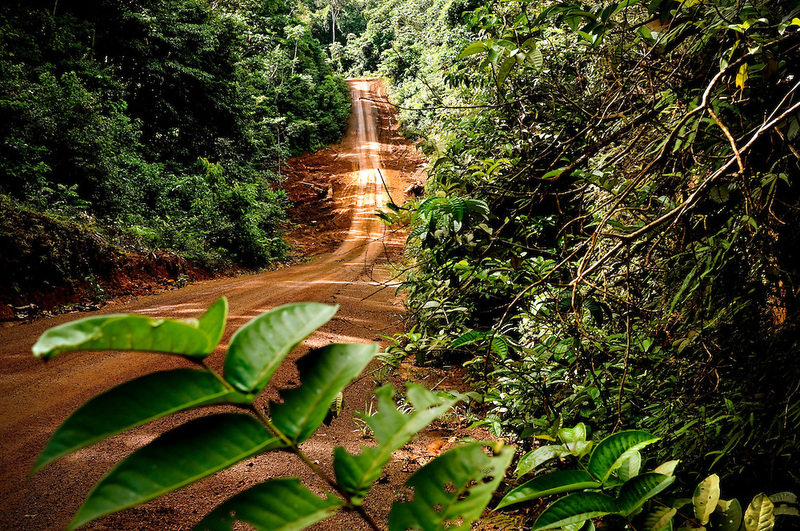 The Georgetown-to-Lethem road as it passes through the Iwokrama rainforest. Government plans to pave the 350 mile road from Georgetown, its coastal capital, to its southern border are expected to open Guyana to booming trade with neighboring Brazil, a buying super power in South America with 200 times the population of Guyana. According to Guyana's Minister of Agriculture, Guyana has 540,000 acres of potential farmland that the road will make accessible for cultivating soybeans and crops to make ethanol. Government officials estimate the project will cost $300 million US dollars.